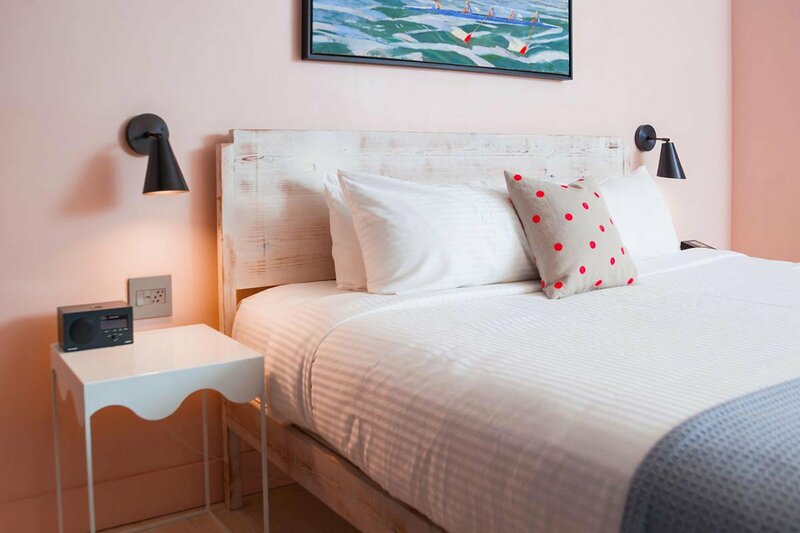 What’s a hip and thriving urban neighborhood without a trendy boutique hotel to salute the scene? 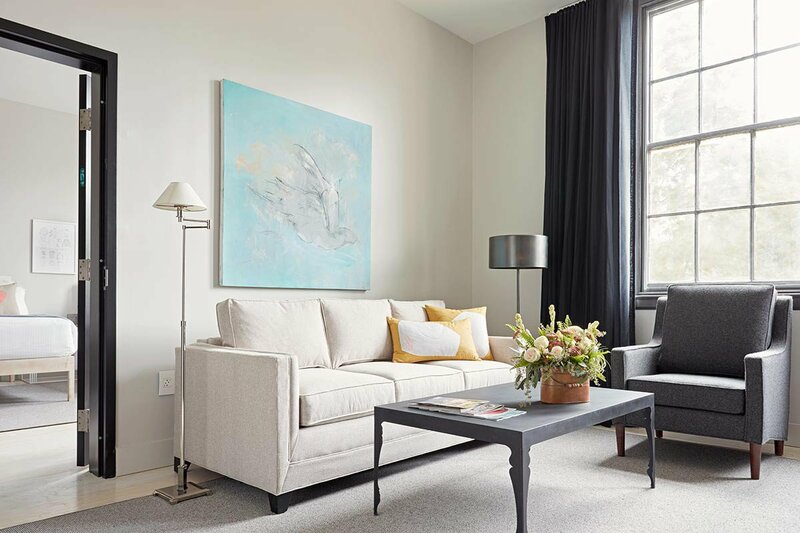 Husband-and-wife-hotelier Ted and Katie Ukrop took the challenge when they opened the first in downtown Richmond with their ultra-Instagrammable Quirk Hotel. 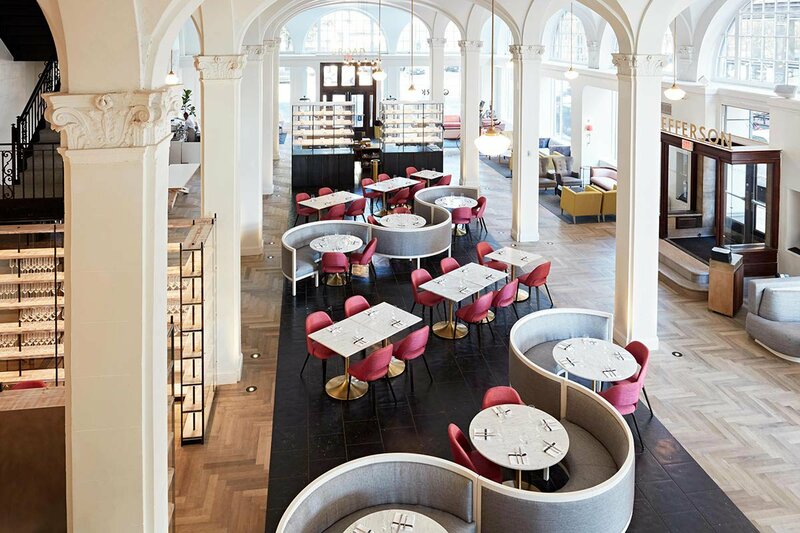 Housed in a former 1916 luxury department store, the couple carefully preserved such original features as airy thirteen-feet floor-to-ceiling windows, maple floors, and Italian Renaissance-style arches. 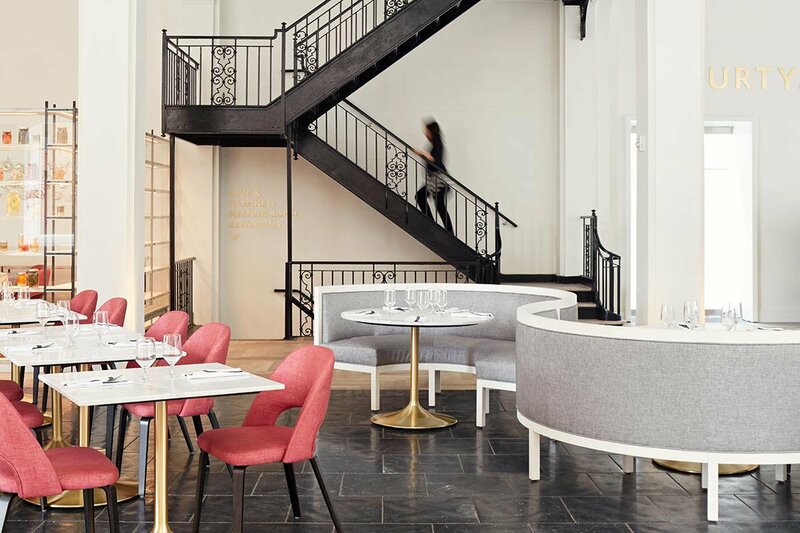 Today, the glamorous lobby restaurant and bar is a destination for cool Richmonders and out-of-towners to brunch, lunch, and be seen. 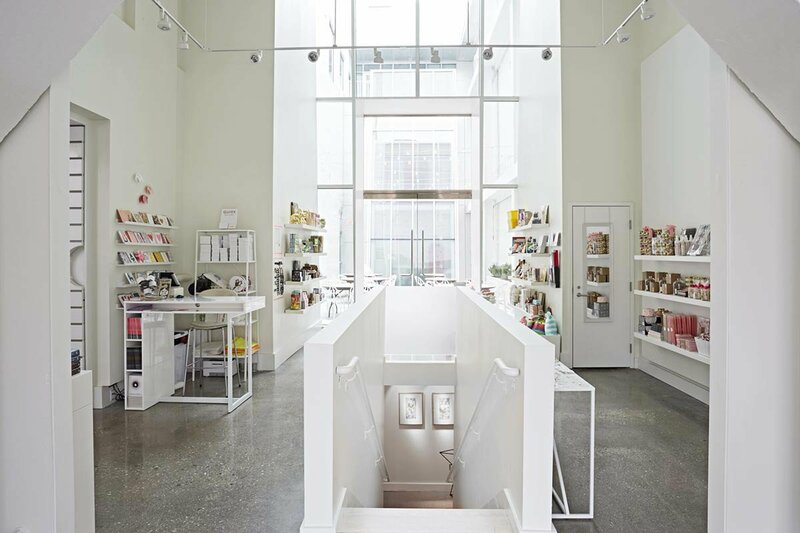 The central location in the heart of downtown makes for easy access to boutiques, galleries, and an exploding culinary scene. If, that is, you ever leave the hotel's mod rooftop bar. 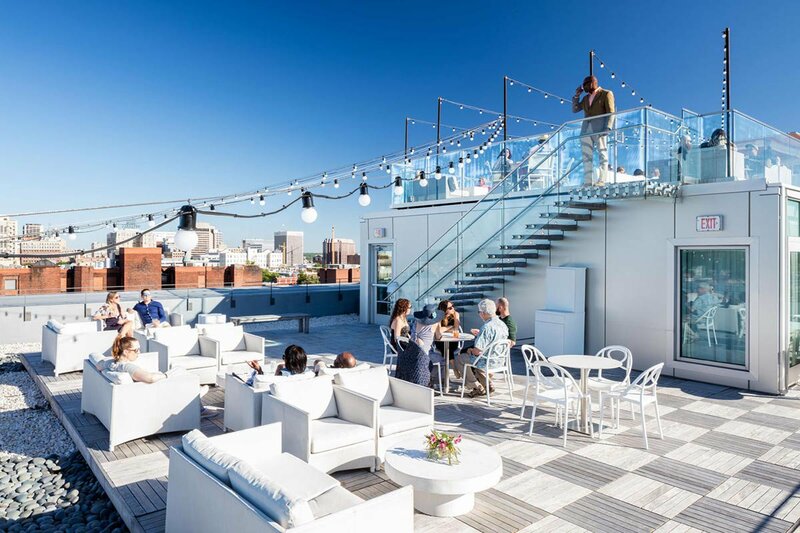 Standout Detail: Q Rooftop Bar — one of the only rooftop bars in Richmond and the place to be for sunset drinks and stellar views. Food + Drink: Maple and Pine restaurant and bar, with its pink seating and S-shaped booths, takes center stage in the grandiose lobby, serving American cuisine with regional ingredients, colorful cocktails, and local beers on tap. This includes baked apples with brioche French toast and picture-perfect omelets. 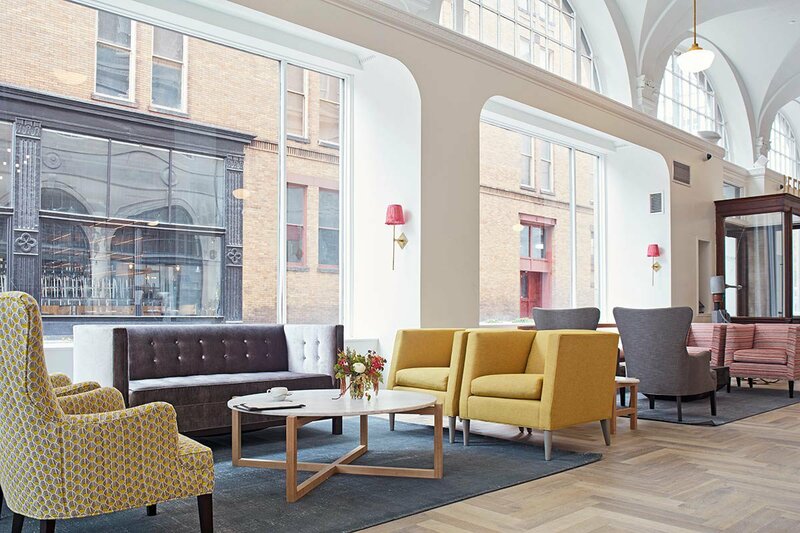 The ground-floor coffee bar pours its own custom blend of Quirk roast from Blanchard's Coffee Roasting Company. Rates change seasonally and start at $169 per night. Click here for reservations, or contact the Fathom Concierge and we can plan your trip for you. 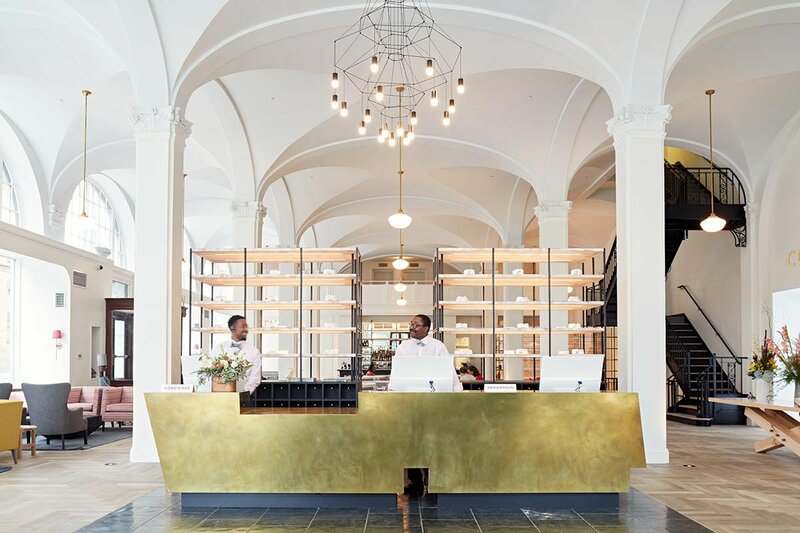 Whether you’re looking for a U.S. historical deep dive or the best lunch in the city, you’re in the right place, given the hotel's location in the heart of downtown Richmond. History buffs can head to the Tredegar Iron Works and many other Civil War sites nearby. Art lovers, don't miss the Virginia Museum of Fine Arts (VMFA) for its incredible permanent art collection from around the globe. Stroll the streets of Carytown for great shopping and stop for a leisurely lunch at Can Can Brasserie, where you'll find French favorites like French onion soup and croque monsieur in a Art Nouveau-decorated space. For the simple, outdoorsy foodie, check out the local farmer's market that hosts small organic farms, craft breweries, and local bakeries. California is a DJ in New York City and travel-enthusiast working at Fathom. You can follow her on Instagram @californiachaney & @djcaliforniastar. She travels for new music inspiration and homemade Italian pasta.